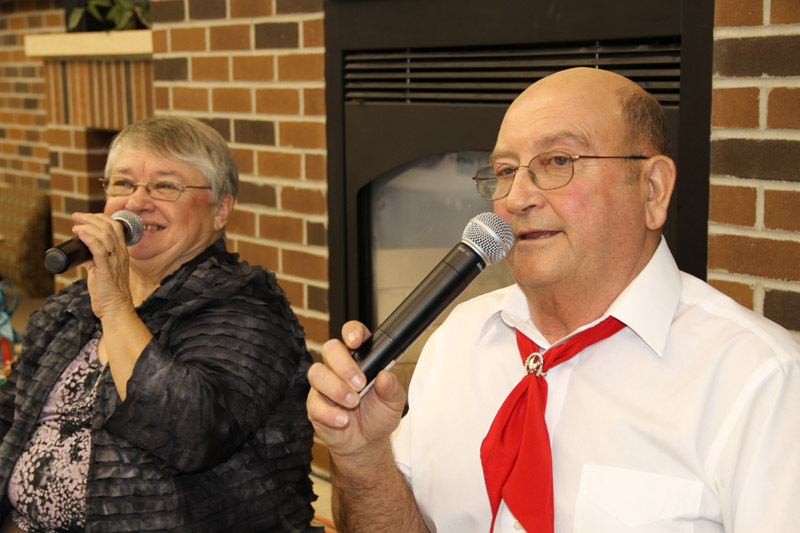 Join Ron and Elsie Shereck of Tabor, MN, Saturday mornings from 7-11AM for polkas, waltzes, old-time music, and lots of fun! The Pecka Band of Lawton, ND will be the featured guest at Pioneer 90.1’s annual Saturday Morning Barn Dance Christmas Party. The event takes place in the commons area of Northland Community and Technical College’s Thief River Falls Campus on Saturday December 13 from 8 am to noon. Pioneer 90.1 will broadcast the event live, with a video webcast online at www.radionorthland.org. 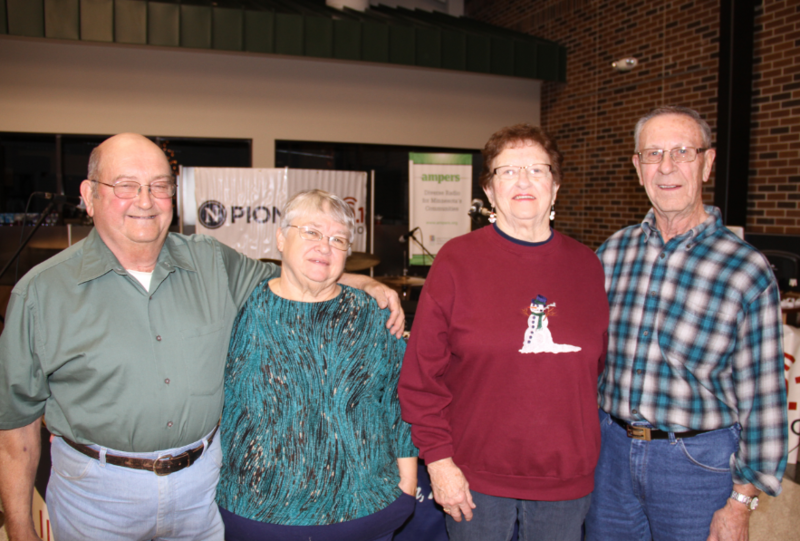 This marks the eighth year that the Barn Dance Christmas Party has been hosted by Ron and Elsie Shereck of Tabor. The couple has announced that they will step down from their long-running polka and old-time music broadcast later this month. The Pecka Band includes accordions, trumpet, sax, and drums. The event is a fundraiser for Pioneer 90.1, Northland’s listener-supported public radio station. A freewill offering will be taken at the door. Watch by clicking play below. Note: The ads on this video webcast are not from Pioneer 90.1. Broadcasting live from Northland Community & Technical College! 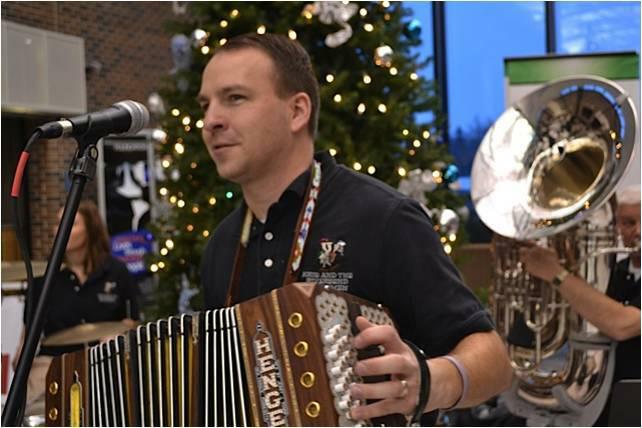 Two polka and old-time programs on Pioneer 90.1 radio will join forces this Saturday (12/7) to ring in the Christmas season at Northland Community & Technical College. 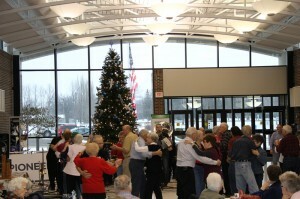 Ron and Elsie Shereck, hosts of the Saturday Morning Barndance, welcome the Cathy Erickson Band to their live broadcast and Christmas party, held at the Gunderson Commons at Northland’s Thief River Falls campus, Saturday, December 7 from 8AM to noon. Erickson is the host of “Cathy’s Variety Show,” Monday nights on 90.1 FM, the college’s listener-supported public radio station. This is the fifth year that the Barndance Christmas Party has been broadcast from the commons area. Prior to 2009, it was a smaller event, with a live band playing to a few audience members gathered in Northland’s Broadcasting department. Station manager Mark Johnson said that the December tradition attracts one of the largest audiences of the year for Pioneer 90.1. He said in-person attendance usually averages around 200 people. Many more listen online, over the air, and watch a live video feed at the station’s website, www.radionorthland.org. This year’s Christmas party will also be the official launch of the Pioneer Polkacast, a new online radio station that streams Minnesota-made polka and old-time music continuously at www.radionorthland.org/polkacast. The music featured on the 24-7 PolkaCast stream is from the collections of the Sherecks and Erickson. “They have hundreds of CDs by Minnesota musicians that they have collected over the years. We’re very fortunate that they wanted to share this music with us, “ Johnson said. The station plans to replay the Saturday Morning Barndance and Cathy’s Variety Show later in the week on the Polkacast. Saturday’s Christmas Party is open to the public. A freewill donation will be accepted at the door to help Pioneer 90.1 continue its Old Time and Polka programming. Ron and Elsie Shereck of Tabor, MN host the sixth annual Saturday Morning Barndance Christmas Party with musical guests Kris & the Riverbend Dutchmen of Mankato, MN.